THE weak El Niño has affected 417.3 hectares of farms in Central Visayas, according to the latest statistics released by the Department of Agriculture (DA) 7. In Cebu, the lack of rain and the extreme heat brought about by the weather phenomenon have already affected 267 hectares in Asturias, 50 hectares in the City of Naga and 2.3 hectares in Balamban. 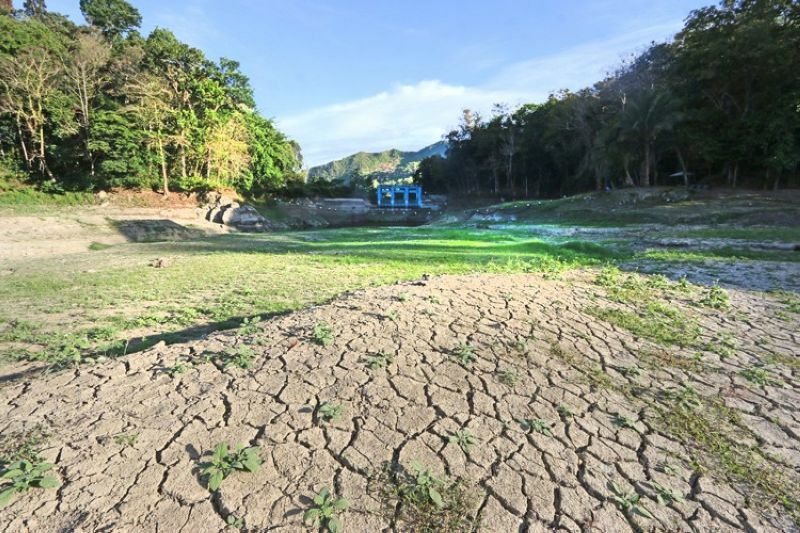 The dry spell has also affected 78 hectares in Mabinay and Valencia in Negros Oriental and 20 hectares in the four towns in Siquijor. Joel Elumba, DA 7 technical director for research and regulations, said the El Niño Task Force has been assessing affected areas to determine what kind of assistance it can extend. The agency has P35 million it plans to distribute to farmers in need of help. Elumba would not give the amount of damage because they were still validating reports, including the weather’s effects on the fishing sector in Cebu and other parts of the region. The official said the DA 7 had also set aside P2.5 million for cloud seeding. Meanwhile, the Cebu Provincial Disaster Risk Reduction and Management Office (PDRRMO) announced it would create an implementation plan to ensure the Capitol’s calamity aid would be evenly distributed to those affected by the El Niño. The Provincial Board last Monday afternoon, March 25, approved en masse a resolution declaring the province under a state of calamity. In an interview on Tuesday, March 26, PDRRMO assistant head Totch dela Cruz said they will meet again with the technical working group on Thursday, March 28 to reassess which areas should be given priority. The team is composed of members of the PDRRMO, Provincial Environment and Natural Resources Office, Provincial Veterinary Office and Provincial Agriculture Office. “During the scoping of rapid assessment, we didn’t get any significant figures. There were damage declarations but these needed to be validated. But maybe in our next meeting, we’ll get an update. We really need to gather again so we can specify because the next responsibility after the declaration of a state of calamity is how we go forward,” dela Cruz said. The rapid assessment and survey conducted last March 18 by the technical working group revealed that 27 local government units (LGUs) in the province had suffered damage due to the dry spell. Affected areas include the cities of Carcar, Danao, Mandaue and Toledo and the towns of Asturias, Alcantara, Aloguinsan, Alcoy, Argao, Balamban, Bantayan, Boljoon, Carmen, Compostela, Consolacion, Daanbantayan, Dalaguete, Dumanjug, Madridejos, Medellin, Minglanilla, San Remigio, Sta. Fe, Sibonga, Sogod, Tabuelan and Tuburan. As of March 25, the estimated damage to crops, fishery and livelihood in these towns and cities stood at P100 million. Dela Cruz assured that there would be no politicking in the distribution of assistance, especially with the midterm elections just around the corner. “We will use the assessment report as basis. We will help those it recommends for helping. Each LGU will also come up with a damage report, so we will address that. When we craft the implementation plan, it will be based on priorities of heavily affected areas,” he said in Cebuano.